Treatment and prophylaxis of the nasal symptoms of seasonal and perennial allergic rhinitis from 6 years of age to adults. Adults and children 12 years and older : The recommended dose is 2 sprays in each nostril once daily. 6-12 years: 1 spray in each nostril once daily. Below 6 years: Not recommended. 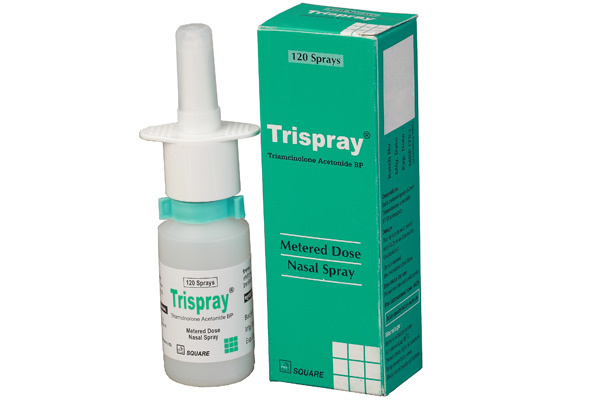 Trispray® : Amber bottle containing Triamcinolone Acetonide aqueous suspension adequate for 120 metered doses.